GE has announced that it will build a new manufacturing facility to drive innovation and implementation of advanced manufacturing technologies across GE. The new facility represents a $32M investment over three years by the company and will result in the creation of 50 high-tech engineering jobs initially, in disciplines ranging from mechanical and electrical to systems and software engineering. These technologists will join GE’s global network of 50,000 world-class scientists, engineers, and skilled labor who are working to solve some of the world’s toughest challenges. The new facility reflects GE’s belief that the intersection of technology and manufacturing – marrying hardware with software – is bringing a new era of manufacturing. Advanced Manufacturing is about making things better and faster for customers. It includes new digital fabrication technology, lean manufacturing methods and rapid-prototyping, advanced materials sciences, supply chain efficiency and open innovation. The facility will focus on improving capabilities and usage of additive manufacturing across GE while advancing materials sciences and inspection technologies. Pennsylvania is already home to more than 8,500 GE employees with significant presence from GE’s Transportation, Power & Water, Oil & Gas and Energy Management business. The site will be located outside of Pittsburgh in Findlay Township, PA to capitalize on the renowned academic institutions and skilled workforce in the area. Construction is expected to begin in March 2015 to be completed by September 2015. This facility represents another major GE investment in U.S. manufacturing technology. In the past two years alone, GE has established new Advanced Manufacturing locations for GE Power & Water in Greenville, SC; GE Aviation in Asheville, North Carolina; and GE Oil & Gas in Jacksonville, FL; while expanding work in GE Aviation in Auburn, AL and improving manufacturing at GE Aviation in Rutland, Vermont. Changing GE manufacturing is seeing financial results. 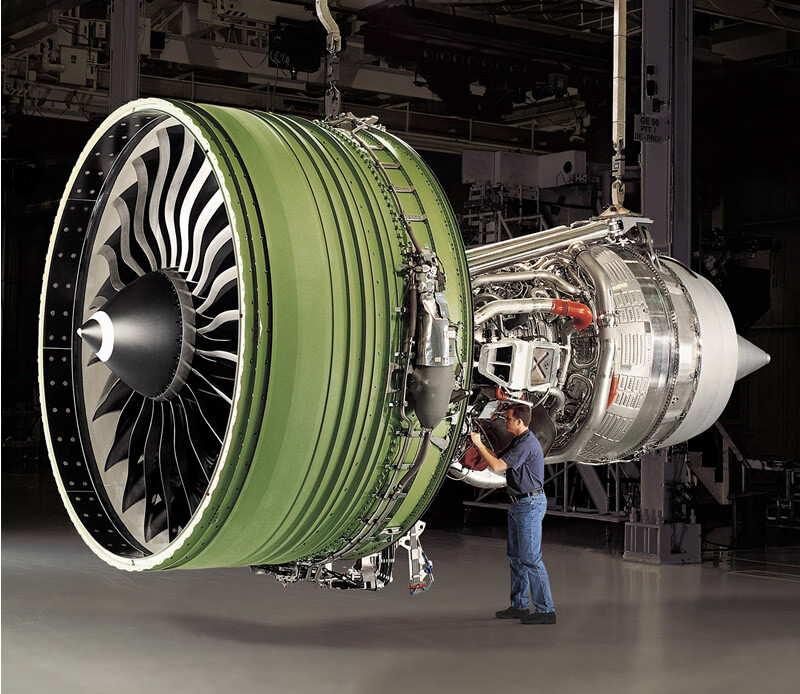 In Rutland, Vermont a $75 million investment to expand the site to allow GE Aviation to use advanced materials has led to more than $300 million in engine production savings. Next year in Auburn, AL, mass production begins on the complex interiors of fuel nozzles for the next-generation LEAP jet engine being developed by CFM International, a 50/50 joint company of GE and France’s Snecma (Safran). Each engine has 20 nozzles (produced by Advanced Atomization Technologies, a GE and Parker Aerospace joint venture) with GE’s special 3D-printed interiors to make the engine more durable, lighter, and fuel efficient. 3D printing allows GE to make the nozzle interiors as one part rather than 20 individual parts, reducing the number of brazes and welds required using traditional methods.